NYX is famous for its focus on high-limit slots, and Super Lucky Charm is one of the games that is designed specifically for high rollers. 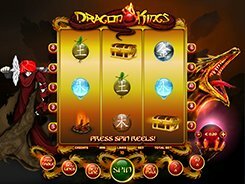 Played over 3 reels and 10 paylines, the slot accepts a bet that ranges from $0.1 to $500 per spin. The game has a theme that relates to luck, with a slight Irish twist to it. Fitting the theme well, the reels are populated with the symbols that are associated with luck and wellbeing, such as a diamond, a horse shoe, a clover leaf, a gold pot, number 7, etc. 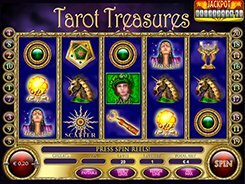 The biggest jackpot prize in the game is 100 coins which is equivalent to $5000 if betting max. 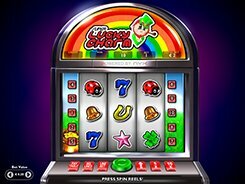 The pipe-smoking Leprechaun serves as a Free Spins symbol that awards two or four free spins if 2 or 3 of them occur on a payline. There is also a Pick ‘em type bonus game activated by gold pot symbols. On the second screen, you are to select treasures that contain different cash amounts, up to a total of 100 coins. Finding the Collect word will pay out the bonus winnings and end the round. Super Lucky Charm is worth giving it a try, especially if you like betting on high-rolling slots. PLAY FOR REAL MONEY!